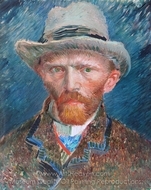 Called mad, eccentric, and brilliant, Dutch painter Vincent Van Gogh has become one of the most iconic and famous painters since his death in 1890. 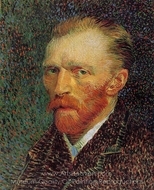 A Post-Impressionist artist, Van Gogh did not even begin painting until he was in his late twenties and he died when he was only 37. 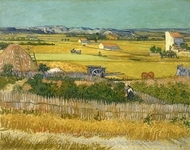 In the decade in-between, however, Van Gogh managed to create an astonishing array of work. 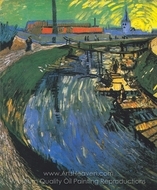 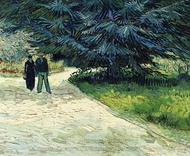 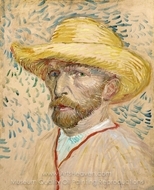 The many Van Gogh paintings include self-portraits, landscapes, and watercolor paintings. 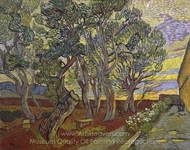 Owning a Van Gogh reproduction is a sign of a serious art lover and is an inspiring attraction in any home decor. 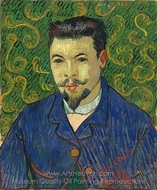 As an artist, Van Gogh developed a style that was all his own. 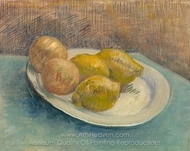 His early work was often somber in tone and his famous oil paintings during this era includes The Potato Eaters. 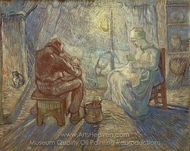 The work completed in 1885, depicted a group of peasants in a dark room, the only light coming from an oil lamp. 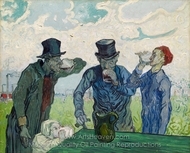 The figures are sitting around a table eating potatoes. 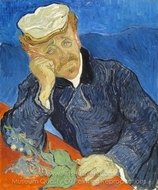 Although minimal colors are used, Van Gogh manages to clearly convey the breadth of emotions that the characters are experiencing. 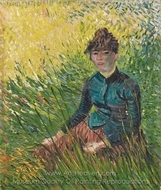 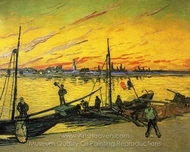 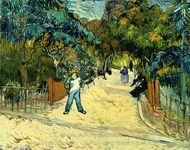 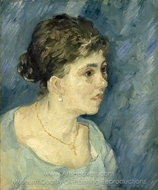 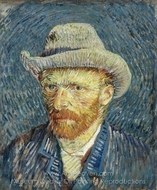 As it is generally considered to be the first notable work of Van Gogh, reproductions of the painting are popular. 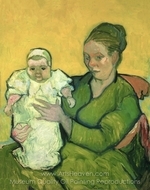 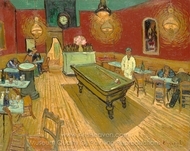 The reproduction can be hung in art classrooms alongside other paintings to inspire art students or placed in a living room to strike up conversations during parties. 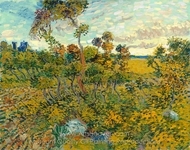 Later Van Gogh paintings are admired for his vivid use of color and thick brushstrokes that emphasize lines. 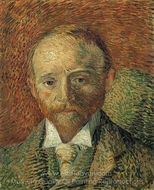 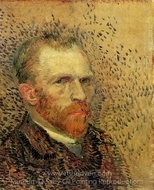 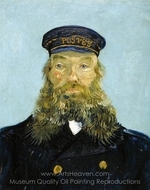 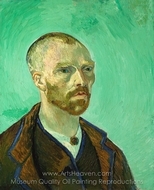 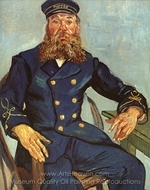 A number of self-portraits painted from 1885 to 1889 are part of the many Van Gogh paintings. 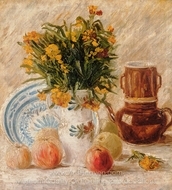 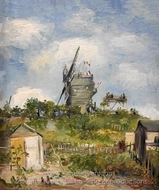 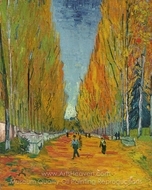 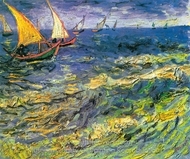 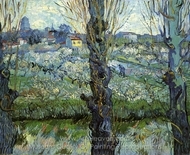 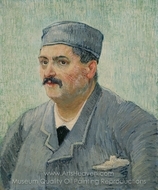 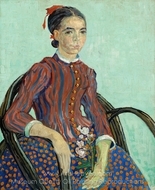 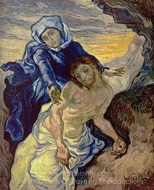 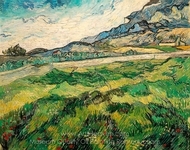 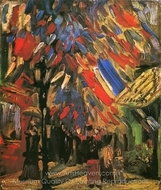 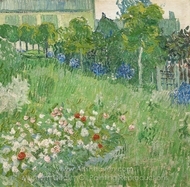 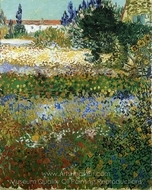 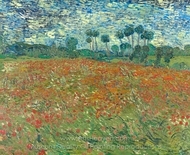 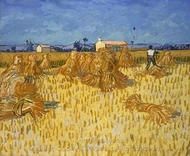 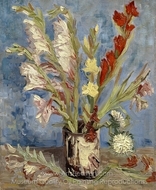 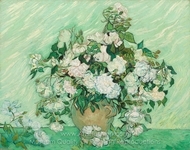 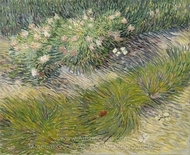 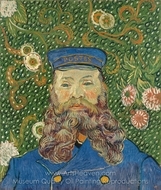 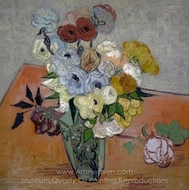 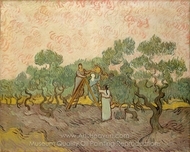 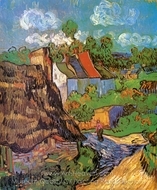 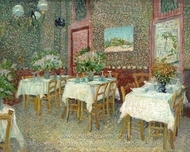 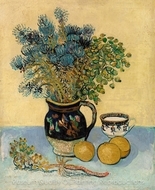 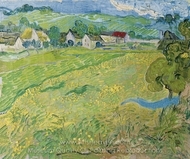 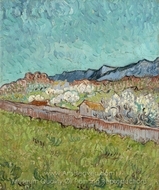 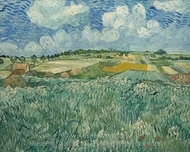 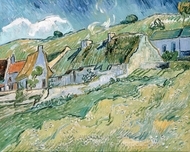 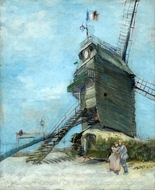 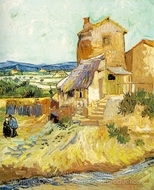 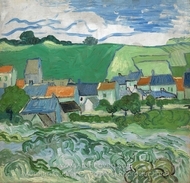 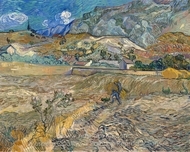 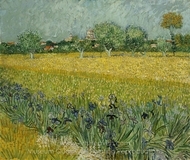 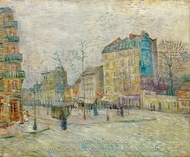 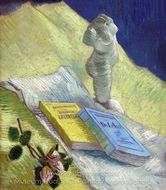 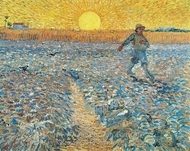 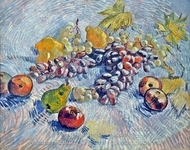 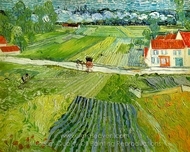 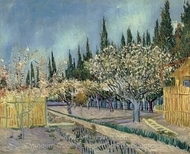 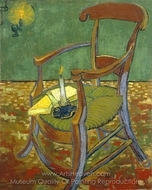 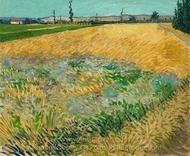 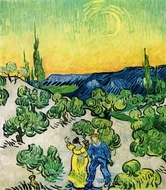 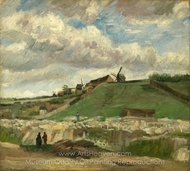 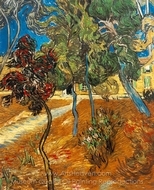 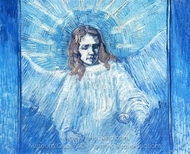 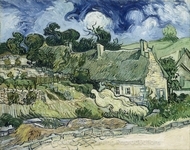 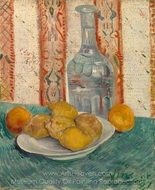 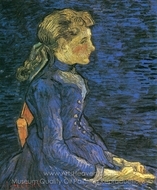 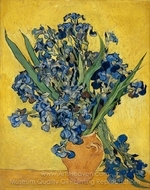 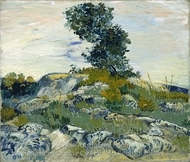 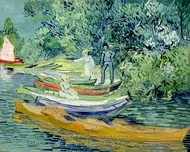 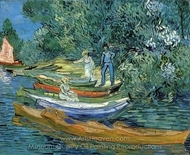 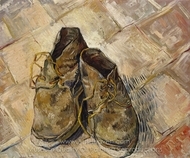 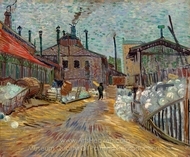 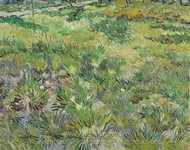 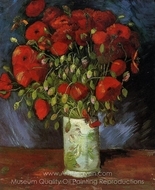 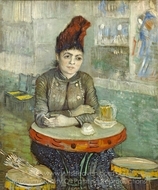 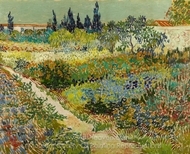 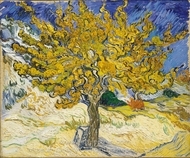 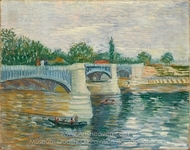 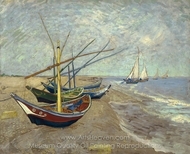 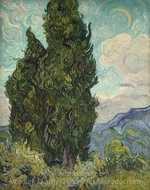 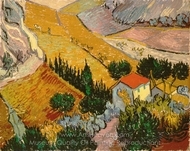 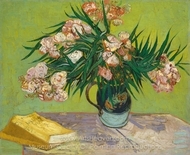 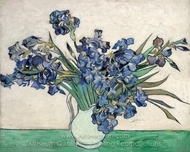 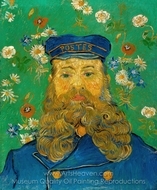 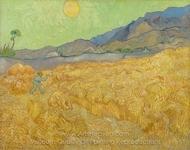 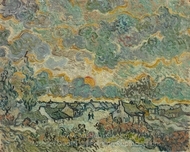 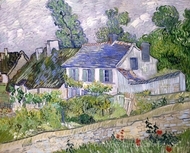 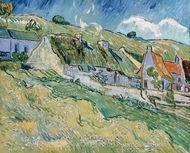 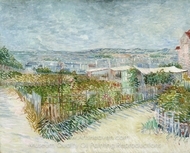 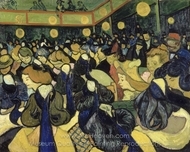 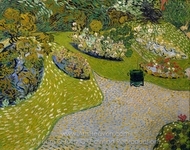 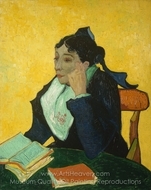 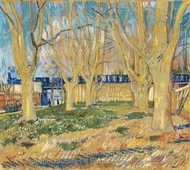 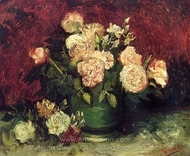 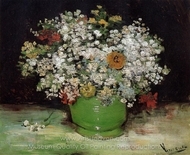 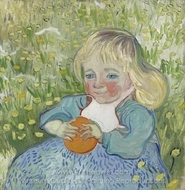 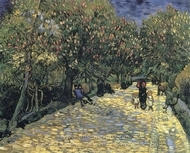 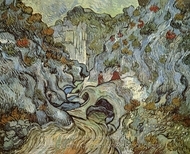 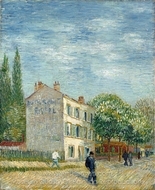 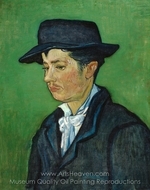 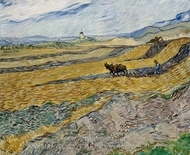 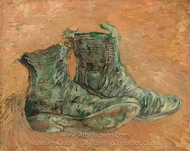 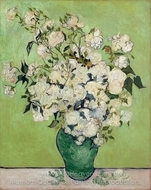 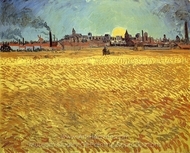 Despite the sheer number of these pieces offered, each manages to be unique through Van Gogh's skillful application of color. 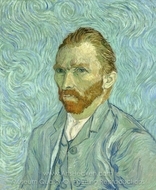 Contemporary artist can be inspired by Van Gogh's ability to honestly and courageously showcase himself on canvas. 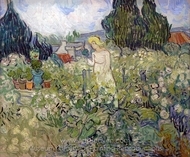 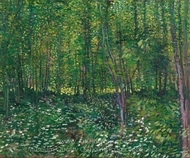 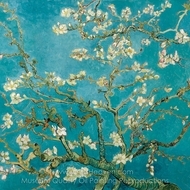 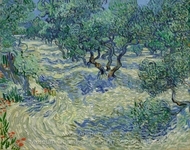 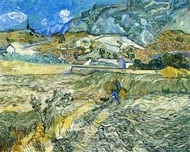 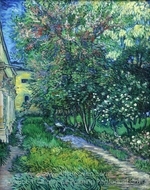 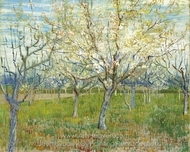 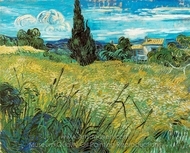 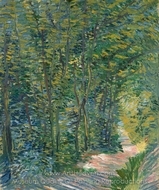 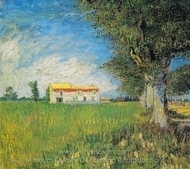 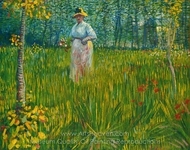 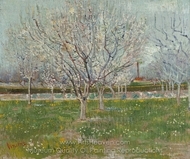 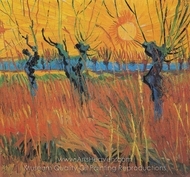 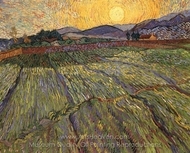 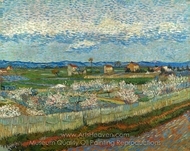 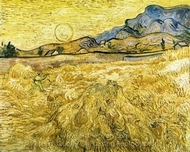 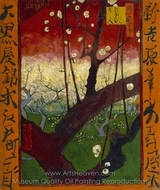 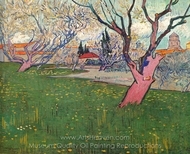 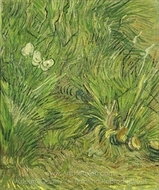 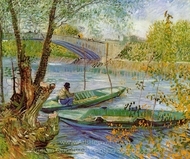 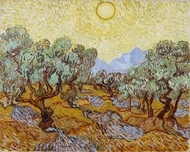 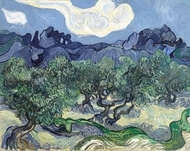 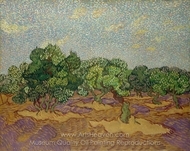 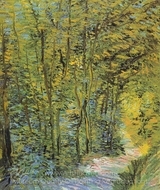 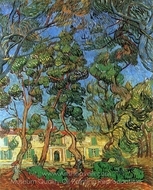 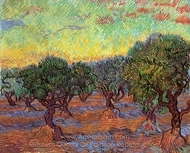 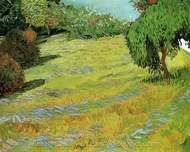 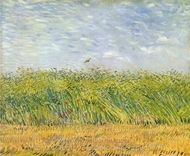 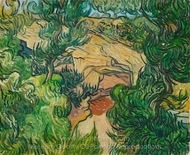 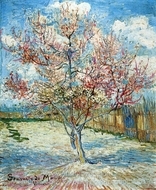 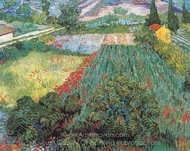 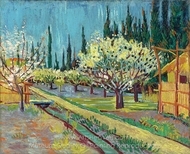 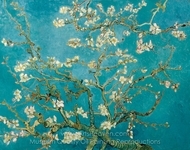 Famous Van Gogh paintings also emphasize nature. 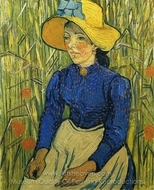 Take the Vincent Van Gogh famous paintings of Sunflowers, for instance. 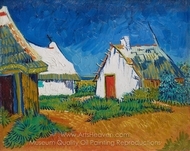 Created over several years, the series is stunningly executed and painstakingly crafted. 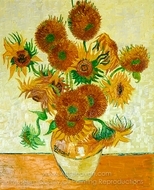 The vibrant paintings showcase yellow sunflowers in brilliant bloom to brown sunflowers wilting and dying, showing all stages of life and death. 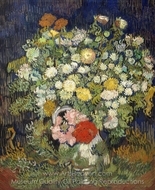 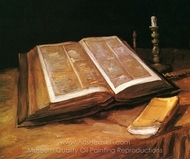 Having one or several of the Van Gogh reproductions of Sunflowers hanging in a home library, den, or even bedroom is a chance to be inspired by the artist's immense talent and to connect with the spirituality of nature. 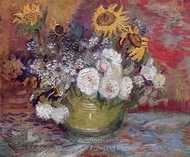 The simplicity of the Sunflower paintings also allows it to fit into any type of space from bright array kitchens, to rustic living rooms, and contemporary dens. 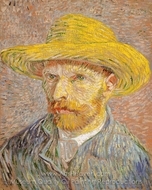 Part of the appeal of owning Vincent van Gogh paintings is attempting to understand the tortured man behind such beautiful work. 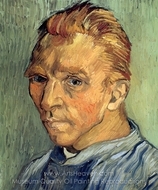 Throughout his lifetime, Van Gogh oil paintings, sketches and other artworks went unappreciated. 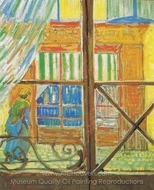 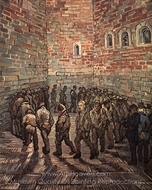 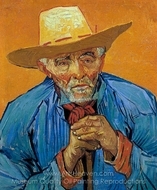 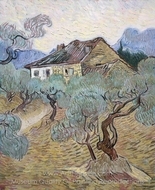 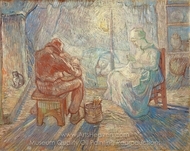 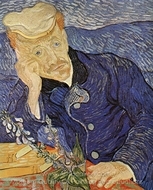 As he was unable to make a living from his art, Van Gogh lived in poverty and suffered from declining mental health in his later years. 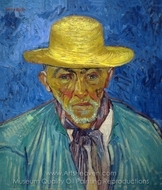 The last two years of his life would be especially difficult. 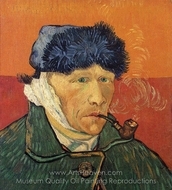 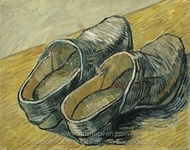 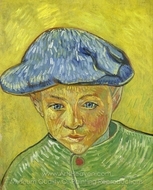 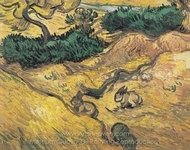 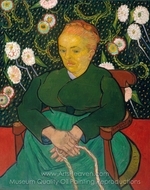 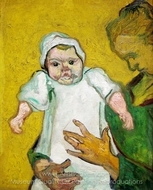 Dealing with delusions, seizures, and anxiety among other issues, Van Gogh ended up cutting off part of one ear. 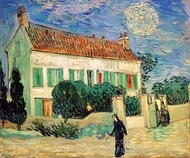 He would then admit himself to a mental hospital where he would create his most famous painting, Starry Night. 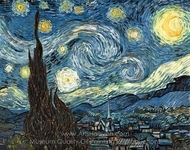 The deceptively effortless oil painting showcases a night sky over a town, with luminescent stars and the moon prominently featured. 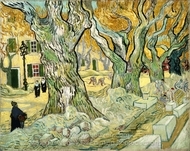 Van Gogh uses exaggeration, and swirling patterns to create a vivid scene with a mystical theme. 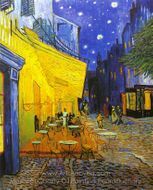 Because of the popularity of Starry Night, it is also a great gift for those just discovering the remarkable and talented Vincent Van Gogh.